A forgotten door on an abandoned railway platform is the entrance to a magical kingdom--an island where humans live happily with mermaids, ogres, and other wonderful creatures. Carefully hidden from the world, the Island is only accessible when the door opens for nine days every nine years. When the beastly Mrs. Trottle kidnaps the Island's young prince, it's up to a strange band of rescuers to save him. But can the rescuers--an ogre, a hag, a wizard, and a fey--sneak around London unnoticed? Fans of Roald Dahl, Lewis Carroll, and E. Nesbit will delight in this comic fantasy. Eva Ibbotson, born Maria Charlotte Michelle Wiesner (1925–2010), was an Austrian-born British novelist, known for her children's books. Some of her novels for adults have been successfully reissued for the young adult market in recent years. 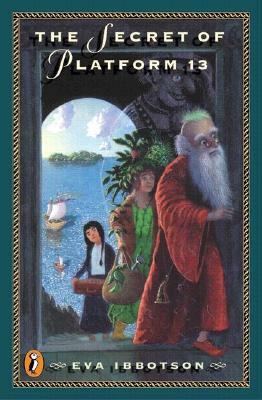 For the historical novel Journey to the River Sea (Macmillan, 2001), she won the Smarties Prize in category 9–11 years, garnered unusual commendation as runner-up for the Guardian Children's Fiction Prize, and made the Carnegie Medal, Whitbread Award, and Blue Peter Book Award shortlists. She was a finalist for the 2010 Guardian Children's Fiction Prize at the time of her death. Her last book, The Abominables, was one of eight books on the longlist for the same award in 2012.